Worksop Ramblers is a small, friendly group offering a varied programme of walks most Sundays, plus one or two Thursdays a month, and Wednesday evening walks from May to August. Car sharing is encouraged, therefore, unless otherwise stated, the meeting point for Sunday and Thursdays walks is the Farmfoods car park on Memorial Avenue, Worksop, at 09:00. For Wednesday evenings walks we meet at the walk start. Anyone wishing to go direct to the start of any of our walks is welcome to do so but we strongly recommend that you always contact the walk leader to check the exact location and time. In addition to local walks and walks in the Peak District, our walks range as far afield as Leicestershire, Lincolnshire, Yorkshire and Staffordshire. Most of our walks are moderate and a few have 'strenuous' elements to them, e.g. walks in the Peak District. Wednesday evening walks are graded as leisurely. 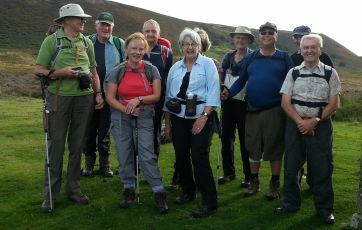 Join the Ramblers and become a member of Worksop Group.